If you are looking for an expert that knows what a spray tanner needs then you have come to the right place. Perfect Glow Sunless- By Melissa Weinberg™, is a 5 star rated professional luxury brand of spray tan solution and an exceptional grade of self-tanning and skincare products. She has personally created these top quality, salon-grade formulas and her luxurious beauty products will offer that “perfect glow” without the perils and long term damage of natural sun bathing. Her products are proudly used by salons, spas and spray tanners worldwide. These professional grade tanning formulations offer various color bases, apply and dry impeccably and are odorless. Using one color on every client is not practical. Just like foundation does not come in one color neither should Sunless products. It is important to have a variety to match different skin undertones. Perfect Glow Sunless-By Melissa Weinberg ™ offers the best colors on the market to fit the needs of multiple skin tones. Natural & organic derived ingredients. Infused with pure grade moisturizing botanicals and vitamins. Sans other harsh chemicals commonly used in beauty products. Chock full of anti oxidants. A a proprietary “orange blocker complex” that will help eliminate pulling an orange or yellow undertone as found in many other self-tanners on the market. Melissa is as an award-winning airbrush tanner since 2009. Since facing skin cancer, Melissa has become a strong believer in well-being and an advocate for health. The South Florida sunless tanning expert is extremely passionate about the Sunless industry. After years of research and testing she personally created a superior sunless product line for both the beauty professional and consumer. They encompass qualities she felt were lacking in current products and as a professional felt were very important to her and her clientele. She started her sunless career as a mobile spray tan artist and a few years after created the Perfect Glow Sunless product line. She built her company starting off as a 1 woman show from the ground up starting by shipping orders out of her guest bedroom while holding a full time 9-5 job in the corporate sector. Since then her entrepreneurial success story & expert tips have been featured in various media outlets such as Forbes.com, The Knot, Skin Inc magazine, Huffington Post, & Voyage MIA as a Palm Beach inspiring story. Melissa is also a sunless educator and mentor to countless spray tan artists and beauty pros worldwide. Her spray tan academy has received accolades across the globe and she has helped many people start a career in the sunless tanning industry or improve their existing skills. Her hands-on and online courses offer extensive information that covers everything new spray tanners need to know in order to start up and run their own successful business. Susan has been a sunless tanning professional since 2010 and in the beauty industry for most of her career. She is the Senior account manager for Perfect Glow Sunless and a lead training class educator. 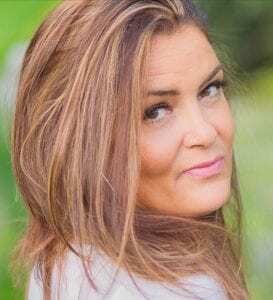 She loves connecting with salon owners and pro spray tanners to assist with any questions and product knowledge to help them grow her business. She is a true industry professional and an asset to Perfect Glow Sunless.